I recently read a quote by Vladimir Nabokov that said, “All great novels are great fairy tales.” I find that to be an inspiring and hopeful reminder of the magic books can hold. From my favorite book of all time, The Phantom Tollbooth, to One Hundred Years of Solitude and its everyday wonder, to the contemporary fairy tale collections of Kate Bernheimer, I’m a literary lover of stories that deal in magic. That is why I’ve felt particularly drawn to Karen Russell lately. There is something special about this thirty-something short story writer and novelist: She isn’t afraid of magic. My first introduction to her writing was an essay of hers featured in The Writer’s Notebook II called “Engineering Impossible Architectures.” In it, she confessed to sneaking Stephen King stories as a child and feeling guilty for writing genre fiction because it wasn’t literary enough. 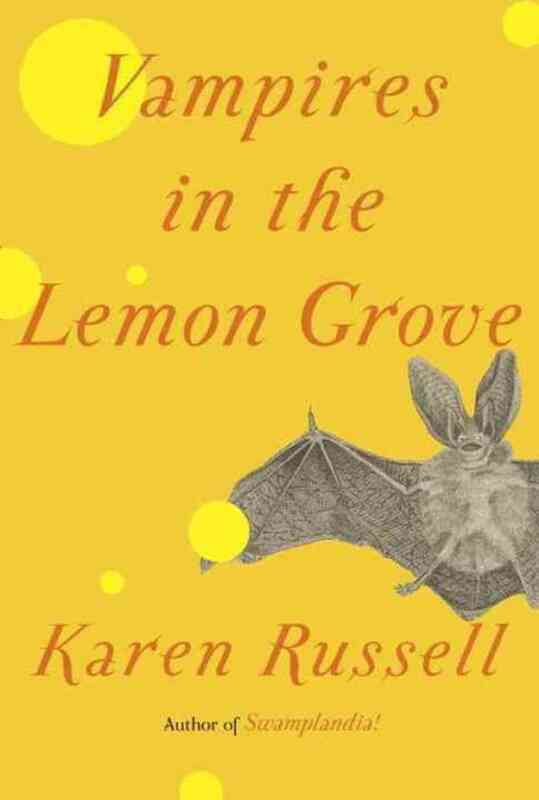 Twenty plus years later, Russell has succeeded in combining both worlds with her collection Vampires in the Lemon Grove. I admit it, I don’t read much sci-fi or horror, so I can’t provide a commentary on whether Russell achieves brilliance when her stories verge into these territories. But I do know literature, magical realism, and fairy tales, and Russell moves in and out of these rather seamlessly. In her collection’s titular story, an elderly vampire reflects on a century’s old love affair with his vampire bride, of the constant longing that comes from needing blood, and the lemon grove where they currently reside and use the bittersweet lemons not to overcome their hunger, but to keep it at bay. This story has enough of the violence and supernatural to qualify it in another genre, but Russell uses her mastery of the character’s voice–deep longing and reflecting–to make the story internal and beautifully restrained. The collection had some hit or miss stories for me. I’ll be honest: I don’t like when Russell attempts humor. It doesn’t quite stick. The one story I gave up on reading was “Dougbert Shackleton’s Rules for Antarctic Tailgating.” It’s supposed to be this goofy look at sports fans, but this time in the extreme weather climate of Antarctica. Something about it felt flat, like when your boss or aunt tell a joke that isn’t funny but you have to pretend to chuckle. I think perhaps my other struggle with Russell’s writing is her voice when she writes teenagers. I can’t quite pinpoint it, but it always feels fake bad, like how a good kid would think a bad kid would talk or behave. In “The Graveless Doll of Eric Mutis,” a group of inner-city kids become obsessed with a scarecrow they find in a park that oddly resembles another kid at school they once bullied. The premise itself works. I liked the way guilt manifested itself into a tangible object and how the inner struggles slowly unfolded. But there was something off about every time one of the boys cussed. This is perhaps far too persnickety. Maybe it’s as simple as my inability to separate the writer from her teen characters, but this is the same problem I had reading Swamplandia, Russell’s debut novel. Aside from a voice problem and one humor misfire, the collection provides some gems. “The New Veterans” takes the difficult relationship between veterans and civilians and uses the unspoken and sometimes magical power of touch to forge a difficult but bonding relationship between a vet and his massage therapist. My favorite story, “Reeling for the Empire,” pits young women against a patriarchal society that turn them into literal monsters in order to spin fine silk for manufacturing. Russell is at her best in this story: part magical, part creepy, but entirely beautiful and affecting. I recently missed a reading of Russell’s in town. I felt disappointed to have missed the opportunity to see the petite writer with such a big imagination in person. But I don’t doubt that I’ll have the opportunity to see her again. She seems to be firmly cementing herself in a hybrid genre of the literary-fantasy, literary-horror, literary-sci fi. The name of the genre itself doesn’t matter. What matters is how stunning some of the writing she produces within is and will continue to be.